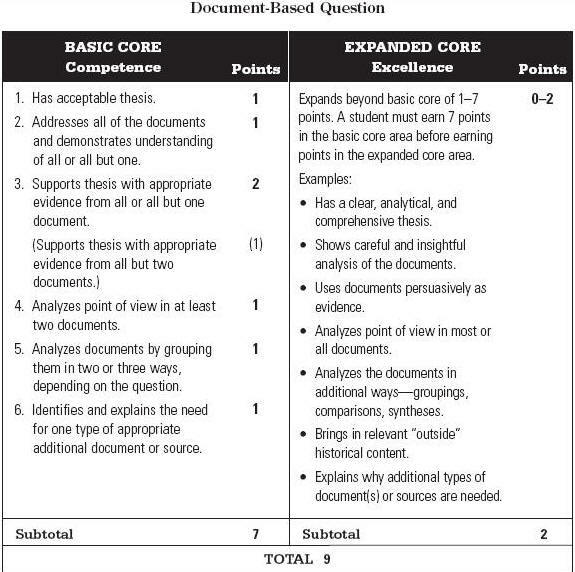 DBQ Generic Rubric. AP World History. BASIC CORE. Competence. Points. EXPANDED CORE. Excellence. Points. Points. 1. Has acceptable thesis. 2. Understands the basic meaning of the documents (May misinterpret one document). 3. Supports thesis with appropriate evidence from all or all but one document.